Our good friends Graeme Hirstwood and Kevin Otting stopped by the bar to chat about the ProAm Beer they’re brewing for this year’s GABF. An experienced brewer, Graeme came all the way from Scotland to take the head brewer job at McClellon’s Brewing where he specializes in traditional ales poured from an old timey beer engine. Kevin, has been entering his homebrews in competitions for years, in the last year winning a Gold, Silver, and 2x Bronze medals. Zach discusses riding in his 3rd Death Ride Tour with Mike Cimbura who has ALS. 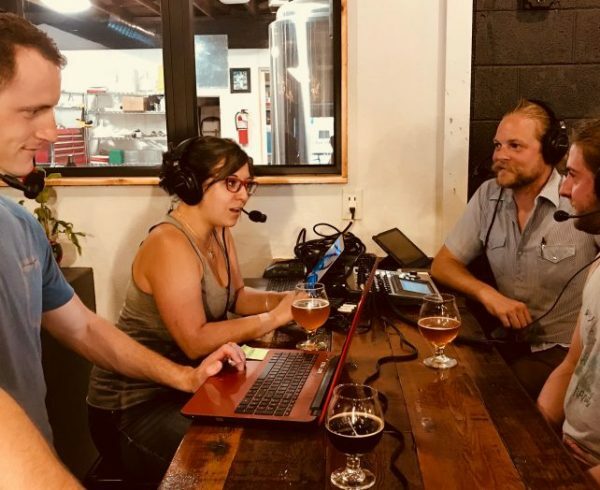 We also chat about the Ciclismo Youth Foundation Short Track Races at New Belgium, Kevin’s travels to China, the challenges of judging soooo many different styles at beer competitions, and the upcoming Great American Beer Festival in Denver.